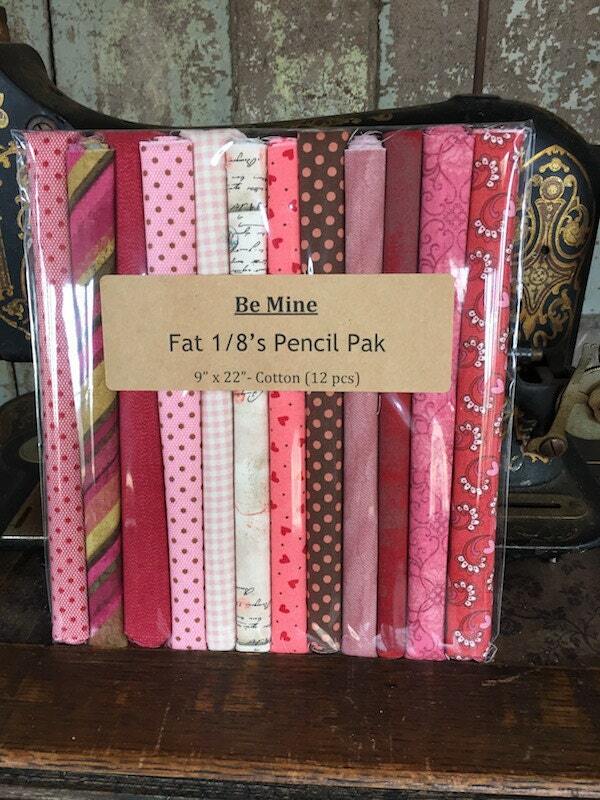 Great Little Fat Eighth Pencil Pak! A beautiful combination of fresh and fun fabrics! This listing's collection is called Be Mine. A perfect gift for your Valentine!! There are 12 Fat 1/8s in a pak. Each piece measures approximately 9" by 22". All fabrics in this pak are 100% cotton. Fabrics are new off the bolt and are from Lecien, Windham and Moda Fabrics. All are a beautiful quality fabric!